OPEN 11:59 P.M. CLOSE 4:30 A.M. The “Dining & Bar TABLE 9 TOKYO,” which was completed last December, stands approximately 459 feet (140 m) above the ground on the top floor of the main tower of the Shinagawa Princess Hotel, the high-rise hotel which can be called a symbol of diversity, and is located right in front of Shinagawa station,the huge hub station for air and land routes in Tokyo, the cosmopolitan city which ispreparing for the 2020 Tokyo Olympics. Inside, “NINE BAR,” a VIP lounge with nightlife for adults offering an unbroken view of the Tokyo night skyline, is also tremendously popular. 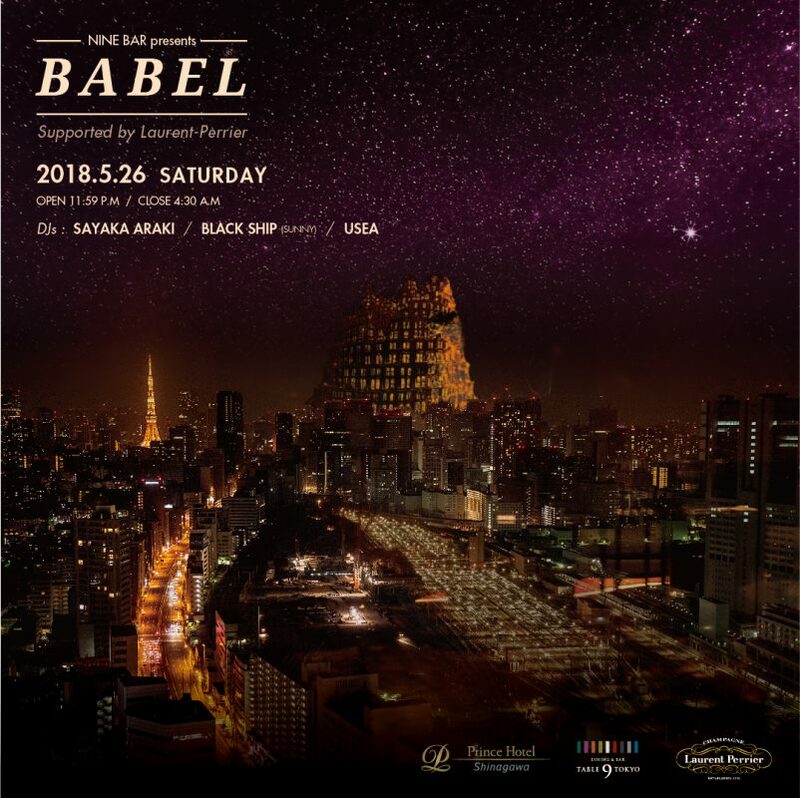 “BABEL,” an all-night DJ event which likens this luxurious space to the top of Babel Tower, is starting at last. Please enjoy extraordinary entertainment of the highest class which will excite your instincts.